Meetings are always open to the public. We invite you to come learn and share your thoughts about issues that affect our community. 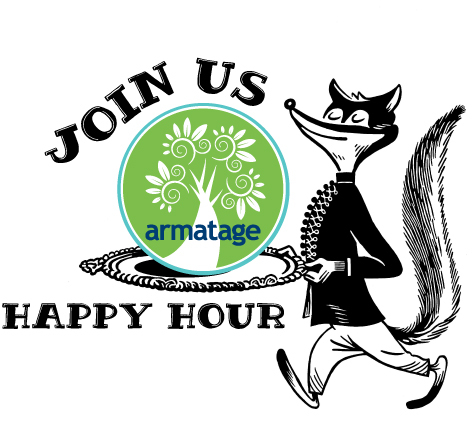 Join us at Red Wagon Pizza on October 3 for a neighborhood happy hour. We are excited to be welcomed at a new location, and look forward to seeing our neighbors, and enjoying some good food, drink and conversation. Sponsored by the ANA. Presented by Stun & Run Self Defense and the Self Defense Bros.
They’re here! In November, voters will find new technology in the polls. These are the electronic poll books, or EPBs, and they’re bringing a heightened level of service to Minneapolis voters. In a nutshell, these devices replace the bulky printed roster books used for voter verification and check-in at the polls on Election Day. As a result, EPBs help reduce long lines and wait times on Election Day. Until now, election judges have been dependent on printed roster books containing lists of registered voters in a particular precinct. Expensive and cumbersome, these roster books required significant effort to produce and compile before Election Day, and an equal investment after Election Day to update voter history in the statewide registration system. The transition to an electronic roster not only expedites voter check-in and verification processes and makes it easier to look up voter data, but also saves money, makes post-election data updates faster and easier (and less prone to human error), and strengthens the integrity of the election. Each EPB unit includes an iPad, a stand, battery pack, and a mini-printer. The iPads have limited functionality, tied specifically to the single purpose of checking, verifying, and—when necessary—registering voters. By limiting their functionality, the security of the voter data, access, and potential hacking is significantly minimized. Because multiple devices can be interconnected and working at the same time in a single precinct, the EPBs are able to synchronize voter data in real-time throughout the day, helping ensure the integrity of the election by preventing individuals from voting more than once. EPB technology is currently deployed in 32 states, plus the District of Columbia. Last year, the technology was deployed throughout Hennepin County, with the exception of the City of Minneapolis. The EPBs worked well for other cities in the 2016 Presidential Election, and this year Minneapolis joins the other cities in using EPBs. The agreement with Hennepin County provides that the EPB hardware, software, operating equipment, license, and vendor support are all provided at no cost to the City. The entire EVS team completed training provided by the vendor, KNOWiNK, and is preparing specialized training programs for the City’s election judges. Training for election judges will be held in the months of September and October. Be sure to look for the EPB in your polling place this year. We’re confident that this new technology will help ensure a successful, seamless, and positive implementation to improve service to our voters. Come experience the beautiful parkways that make Minneapolis the best place to bike in the country by participating in the 2017 Minneapolis Bike Tour! Spanning the Grand rounds Scenic Byway System, the Minneapolis Bike Tour is a family-oriented, recreational tour that is great for all ages and abilities. The tour will take place on Sunday, September 17, at 8 am, with a picturesque start and finish line area at Boom Island Park (724 Sibley St. NE). There are two routes to choose from; 16-mile and 32-mile, both of which are closed to motorized traffic. All routes include stops with refreshments and bike mechanics. The City of Minneapolis’ Division of Solid Waste and Recycling recognizes that not all volunteers are able to commit to reoccurring cleanup events, or maintaining areas for an extended period of time. The new Request for Litter Clean-Up Supplies program offers volunteers an opportunity to participate in one-time, no commitment cleanup activities. The program provides litter clean-up supplies such as bags and gloves at no cost, and delivery is provided. The program is available to Minneapolis residents, business and property owners, visitors and other groups that are interested in volunteering to collect litter in their community. Clean-up areas are limited to public sidewalks, curbs, and boulevard greenbelts, green spaces and other public property within the City of Minneapolis. Find more information here or contact the Division of Solid Waste and Recycling’s Clean City Coordinator at (612) 673-2789. We are excited to announce the rollout of the new Legislative Information Management System (LIMS), which supports the City’s goal of increasing accessibility and transparency in local government. Operating like many popular search engines, LIMS is designed to help the public easily track local legislation, find calendars and agendas, and get involved with the City’s many public advisory boards and commissions. In addition to ease of access, LIMS helps users stay up to date on the latest actions taken by the Mayor and City Council as well as export data from LIMS into individualized search reports that can be used for private research or data visualization. This entry was posted in Agenda, Safety on September 14, 2017 by anacoordinator.